A lot of wooden outdoor furniture and chairs have to be stored in the winter or they will quickly deteriorate. 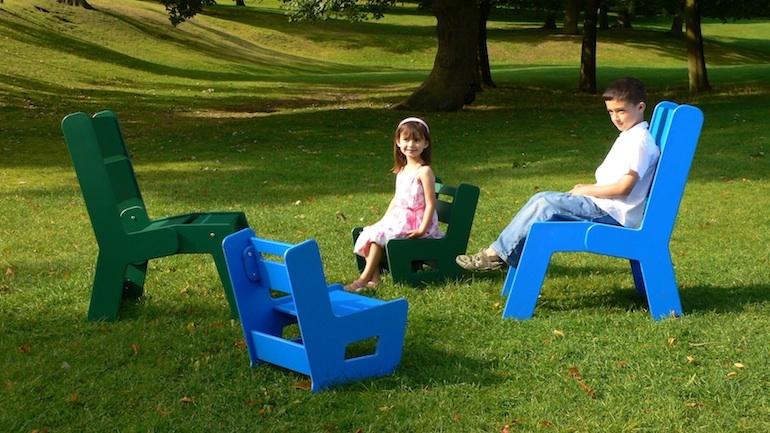 But these recycled plastic chairs can stay outside all the year round without fear of damage from the elements. They will not rot and need no special preservatives or varnish. Buy once and forget.